Leo Burnett Sri Lanka announces the appointment of Ransley Burrows as Chief Creative Officer with effect from 1st January this year. Owning the distinction of becoming one of the youngest creative directors at 26 years, Ransley brings extensive global creative experience to his new role to infuse greater value to Leo Burnett’s creative reputation. His 20-year experience creating strategically focused, insight-based and creatively driven campaigns with digital at the core, across multiple channels for multinational and local brands in Sri Lanka, will sharpen Leo Burnett’s position at the cutting edge of creativity. Ransley will helm the agencies’ creative thrust after a successful two-year stint as Regional Creative Director MullenLowe Thailand, based in Bangkok, overseeing integrated brand campaigns in Thailand, Vietnam, Indonesia, Myanmar and Cambodia, for Unilever’s Rexona, Citra, Pepsodent, Walls, Knorr and also Thai Airways, Morris Garage (MG), Haribo, Traveloka, Rabbit Line Pay, Khmer Beverages to name a few. Ransley holds a deep insight into the local market, having been part of the team that created the innovative activation campaign for Iodex, GSK that won the first Gold award for Sri Lanka at an international advertising festival at Adfest Tokyo. Since then, he has gone on to win numerous international and local awards. This will provide the right creative thrust to the agency, which has recorded impressive wins. More importantly, he has judged many international award creative festivals and was a Grand Jury member at New York Ad Festival 2018, Adstars Busan in 2018 & 2017, and Lisbon Ad Festival 2018. As Leo Burnett expands and wins new business, Ransley’s experience working for a diverse portfolio of sectors such as FMCG, Beauty and Personal Care, Mobile and Telco, Banking and Finance, Airlines, Travel, Leisure and Hospitality, e-commerce, and Automobiles, in diverse markets including Thailand, Indonesia, Vietnam, Cambodia, Myanmar and the Maldives, will come in handy. Some of the reputed clients for which he has created campaigns includes Coca-Cola, Hemas, GSK, Nestle, Sri Lanka Tourism, Ceylon Tea, ICC T20 World Cup, Sri Lankan Airlines, Shangri-La, Cadbury’s, Perfetti Van Mele, Dialog, Mobitel, SLT, NDB Bank, Sampath Bank, DFCC, Serendib Leisure, Ceylinco Life, Maliban, Cargills, Munchee, CDB and more. Ransley was also the first creative to present Sri Lanka at an international advertising festival at the Young Lotus, Adfest Thailand in 2002. The world of software engineering lost out on his talent, when a chance temp stint in advertising peaked his interest and he dived into the advertising full-time. 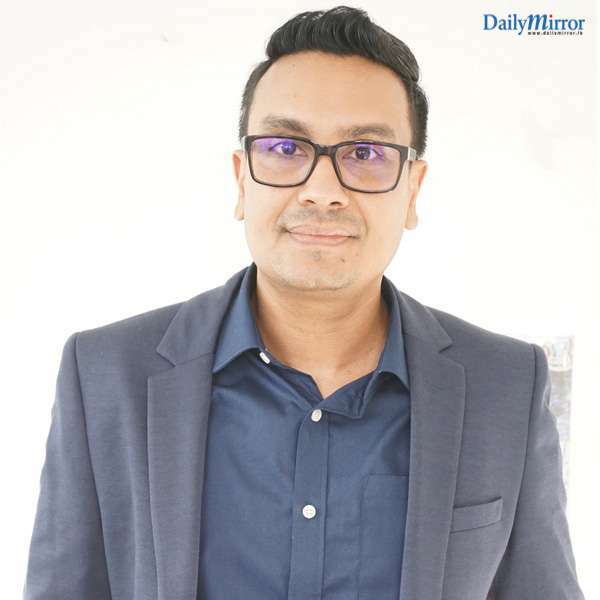 When he is not writing ads, he is either acting in theatre (famous for his portrayal of Wickrama Nikamsinghe (Opposition Leader of Arsikland) in Pusswedilla), writing screenplays and directing shorts, or binge-watching TV shows, running and avoiding carbs.